How much do we really know about how our governments spend money beyond our borders? While there has been much talk about the money spent on development and humanitarian causes, international public spending is a much larger and more complex enterprise, encompassing military interventions, investment in research, cross border crime control, and much more. While such ventures are beset by problems, they have also proven to be the source of innovation and positive investment. Spending Beyond Our Borders goes beyond the current focus on development aid to consider the impact of international public finance more broadly. As Jonathan Glennie and Gail Hurley show, from global health funds to investment in green infrastructure, international public finance is rapidly evolving in response to the challenges of the modern world. As a result, they argue that aligning international public finance with the larger objectives of international development will be crucial if we are to meet the United Nation’s Sustainable Development Goals to end poverty, fight inequality and injustice, and tackle climate change by 2030. 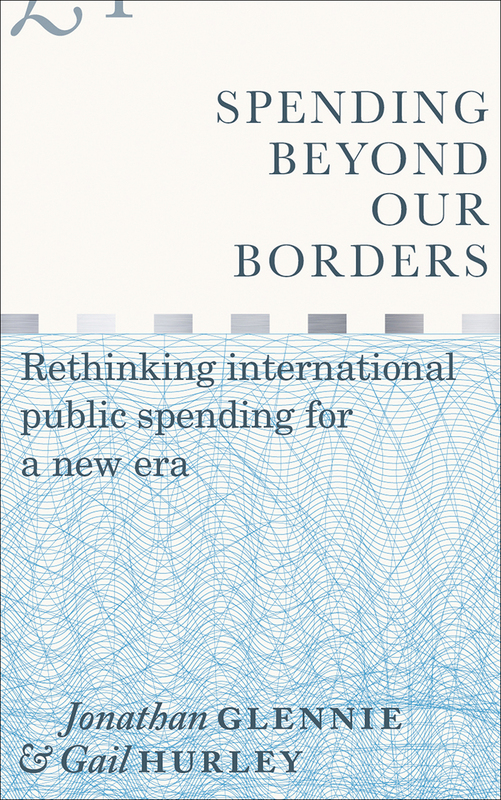 As Spending Beyond Our Borders reveals, to do this will require wider recognition of the invaluable contribution that international spending has made to our shared interests.